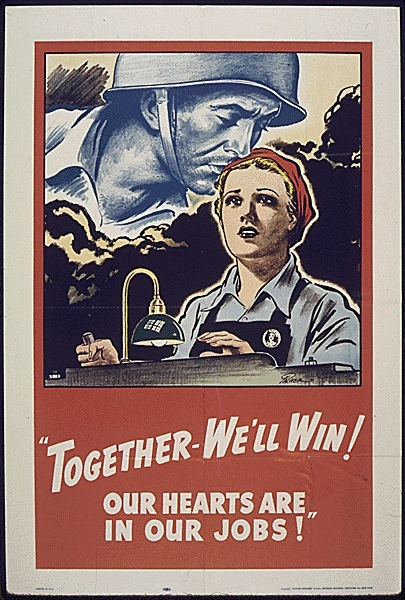 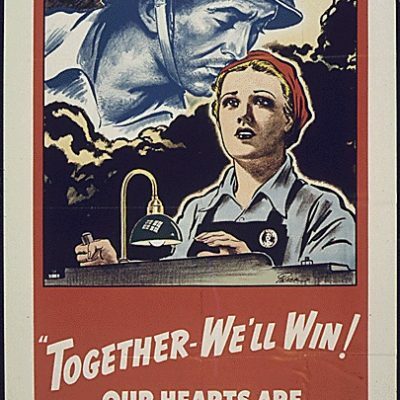 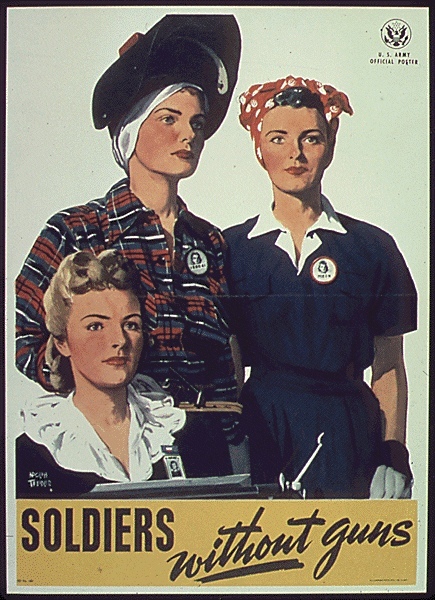 As men volunteered for (or were drafted into) the various branches of the military early in World War II, the available supply of experienced industrial workers began to decline significantly. 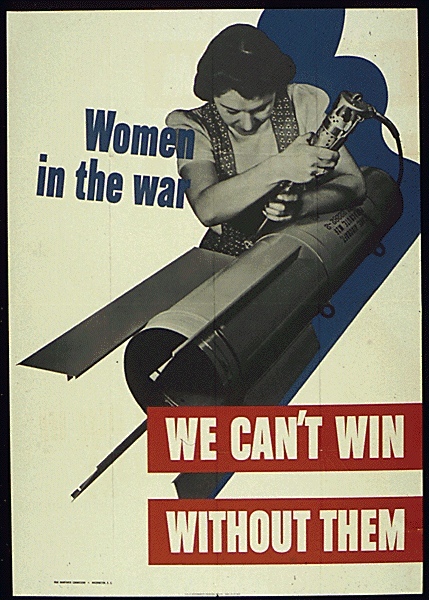 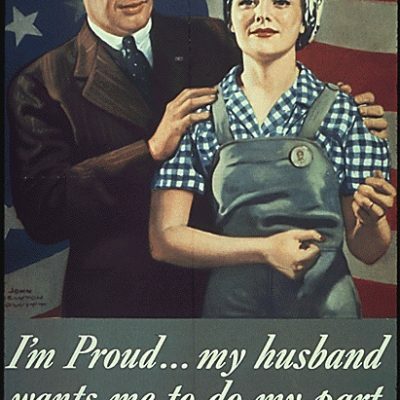 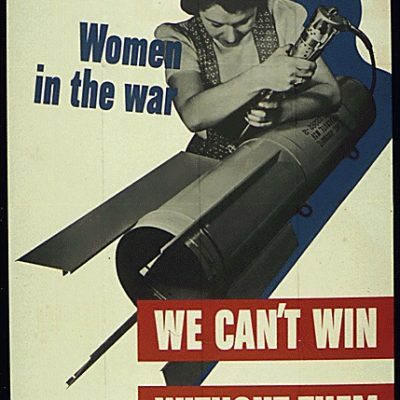 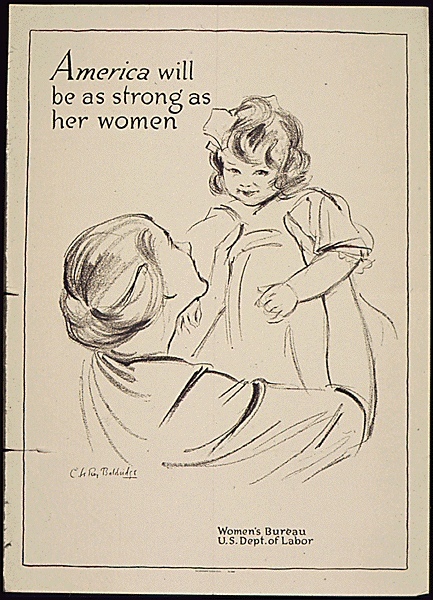 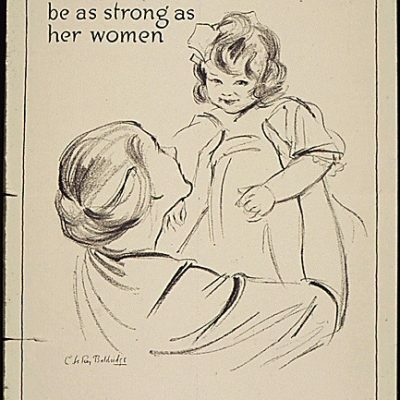 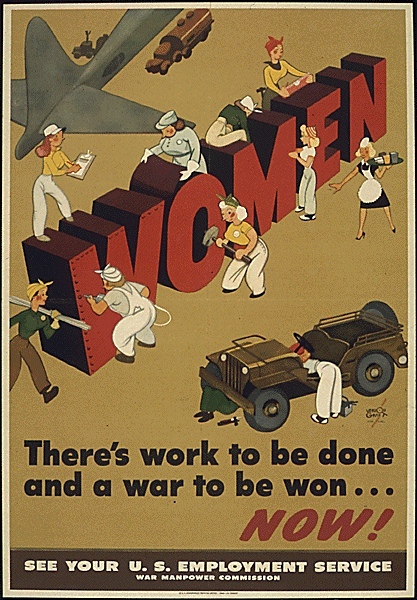 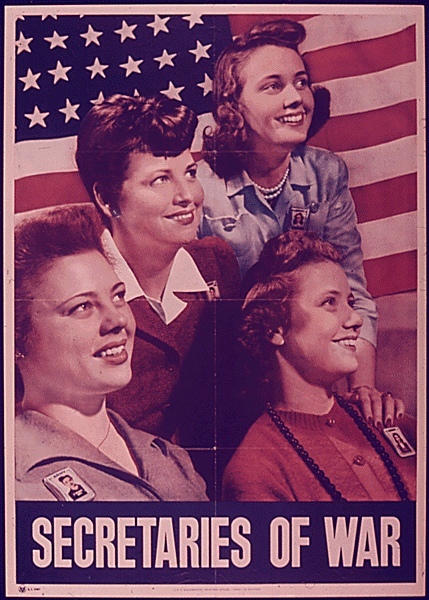 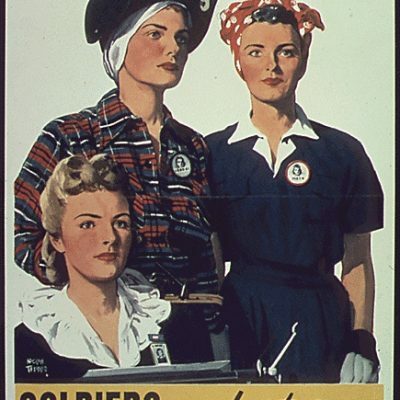 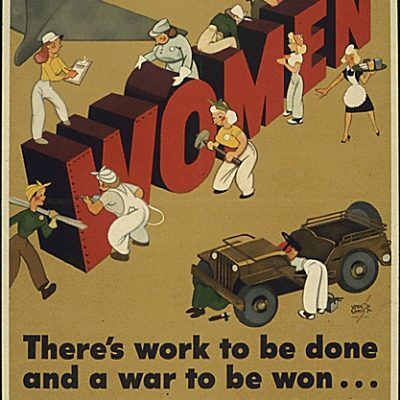 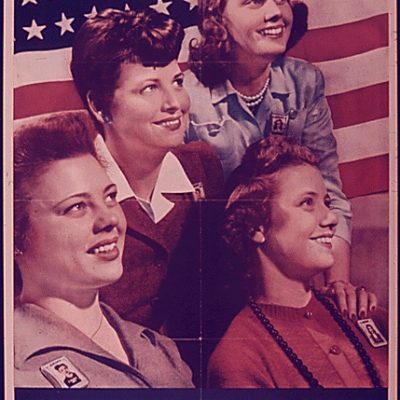 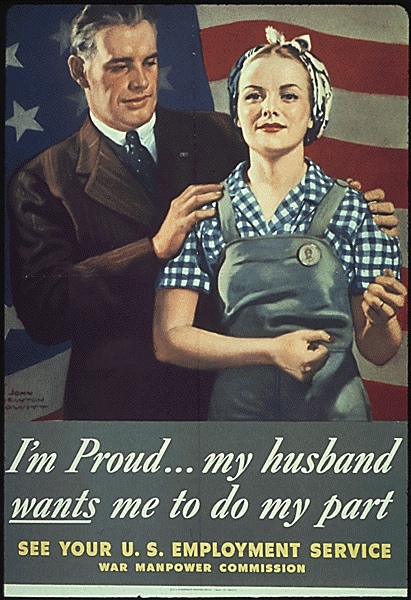 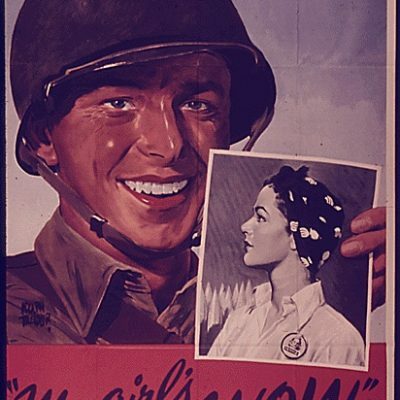 By 1943, the government was putting together an organized appeal for Womanpower. 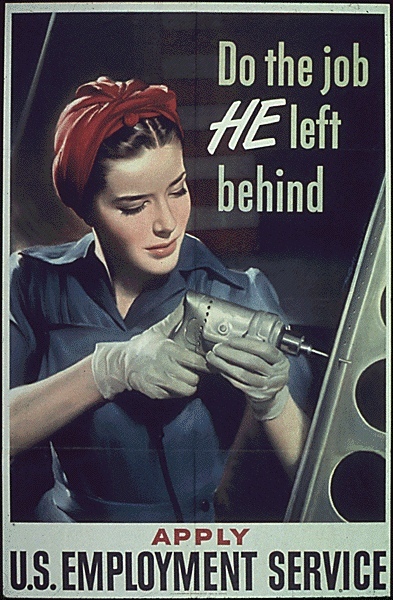 Recognizing that most women at the time had been brought up to regard industrial labor as men’s work, the Womanpower campaign ceaselessly encouraged women to take up those kinds of jobs. 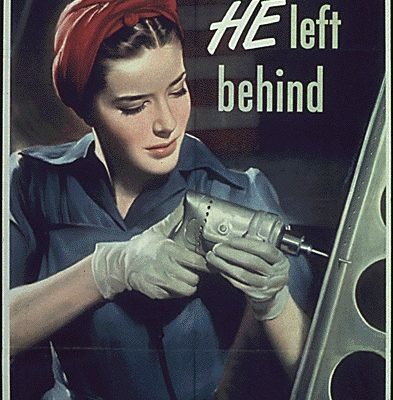 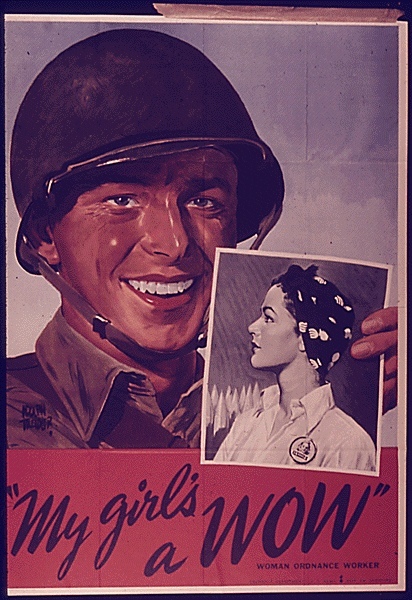 By the war’s end, millions of women (today, remembered collectively as Rosie the Riveter) had answered the call.